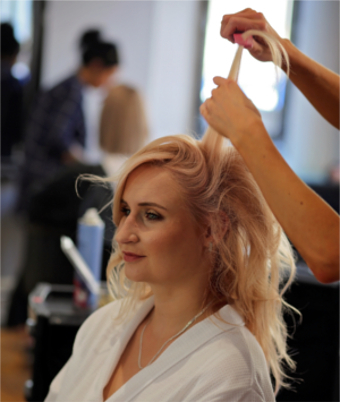 Our hairdressing department on the first floor offers an extremely spacious working area with exceptional natural lighting offering perfect conditions to give you exactly what you want. Our work stations are very roomy, enabling you to maintain privacy and total relaxation whilst allowing you to enjoy a one to one experience with your stylist. WE ARE A 5 STAR SALON! We're proud to announce we have been awarded the highest possible rating of 5 Stars by the Good Salon Guide for our hairdressing and beauty therapy services. 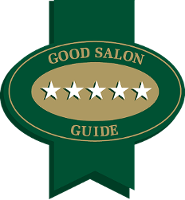 For more information about the Good Salon Guide and their rating system please visit their website. Our second floor is home to our luxurious beauty department. 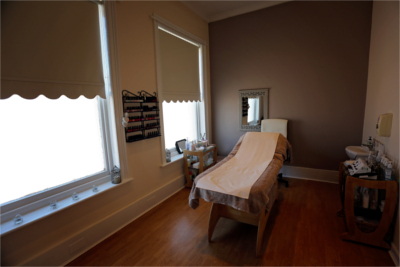 Relax in one of our beauty rooms while you are completely pampered, and leave feeling like a new and rejuvenated you. We were awarded five stars for Beauty Therapy services by the Good Salon Guide earlier this year so we can guarantee that you are in safe hands.